In an alcove between Oakland and Berkeley, California, sits Pixar Animation Studios. Despite its proximity to major cities and buzzing highways, the campus is surprisingly tranquil. Employees practice yoga on the quad and swim in the large lap pool. 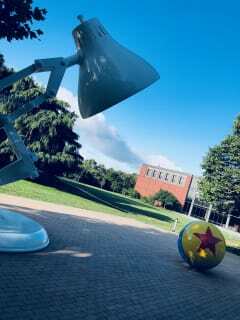 We were mesmerized as we made our way to the Steve Jobs Building, where the famous Pixar lamp and ball from the short film LUXOR JR. stand tall. This was only the beginning of the captivating things to come. 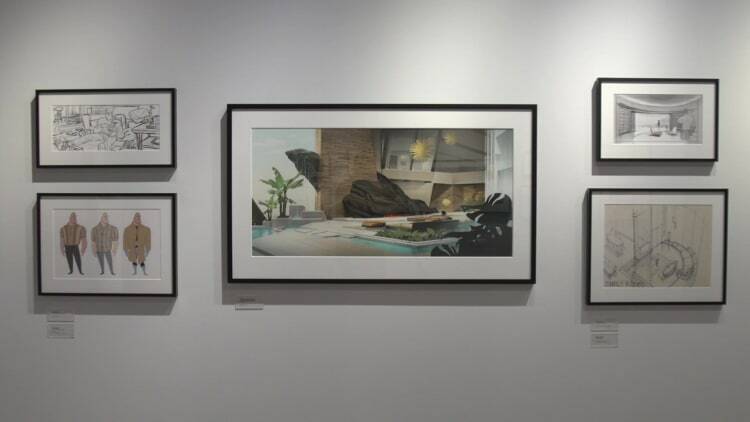 Inside, we were greeted by life-size replicas of the Incredibles, the stars of our press day with some of the studio’s talented artists, animators and filmmakers. As we anxiously awaited our meetings, we explored the massive open-design building like kids in a candy store — and in the campus’s Pixar store, which sells merch you can’t buy anywhere else. We also took in the awe-inspiring artwork and 3D sculptures throughout the halls before settling in for the team presentations. Visual designer Phillip Metschan, shading art director Bryn Imagire and sets supervisor Nathan Fariss gave an in-depth look at the Parrs’ new home, which is three times as big as their original house and plays a big part in the comedy of the film. They shared their inspiration (mid-century architecture), mood boards and even their first design, which was scrapped entirely because it wasn’t big enough. But this team does more than provide blueprints. They also engineer how the film looks from multiple angles and build 3D models of all of the props — everything you see on screen, from a clock on the wall to each cloud in the sky. This presentation, as you may have guessed, focused on clothing, including accessory and hair design — not just for the main characters, but also the 100–1,000 “extras” in each scene. We were amazed by the detail Imagire, who presented with character tailoring lead Fran Kalal, and their team put into each article. They analyzed everything, from the way clothing clings and moves on different body types all the way down to the stitching. They even created sewing patterns as if they were making physical garments. 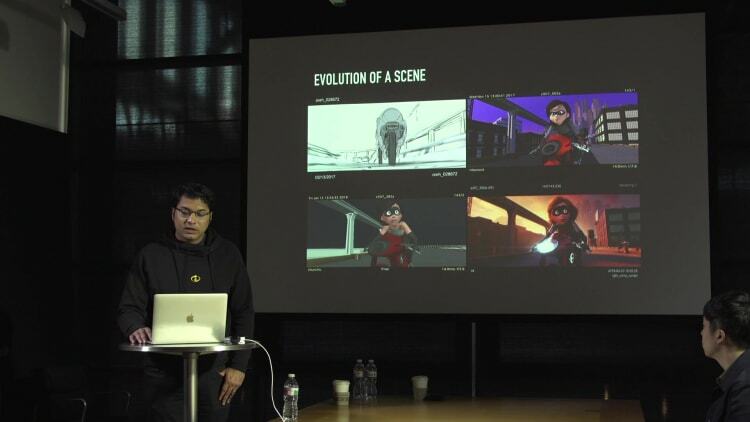 Story supervisor Ted Mathot, layout supervisor Mahyar Abousaeedi, animator Kureha Yokoo and effects technical artist Amit Baadkar shared how one action scene from INCREDIBLES 2 evolved as it made its way to different team members. With every change, they emphasized the importance of always going back to the story — what would Elastigirl be feeling in this moment? How life-like should the fire be, so it looks believable but not too scary for kids? Then, there are real-world limitations, and physics, to consider. In short, it’s not all explosions and outrunning danger. 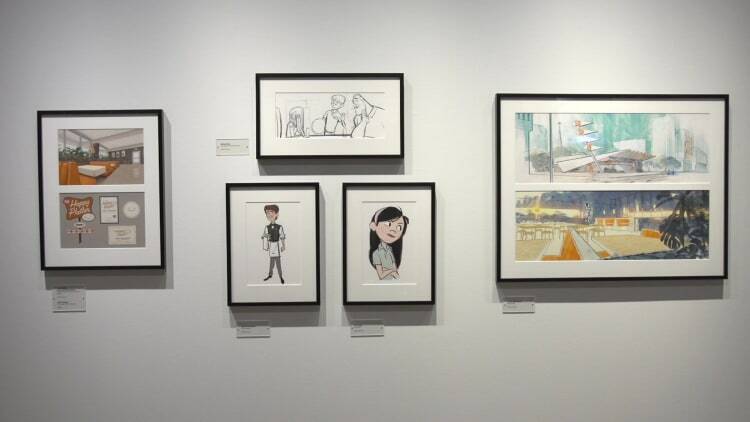 Even in a self-created world, the Pixar team values authenticity. In fact, they fight for it. 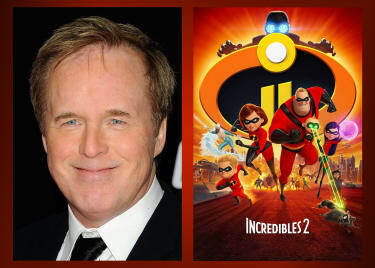 In our interview with the filmmakers, writer-director Brad Bird said, “We’ll have fights about the dumbest things here, about how much of a balding spot Bob should have,” because everyone involved is passionate about the project. “There are so many people with different strengths and points of view to draw from,” Bird continued. 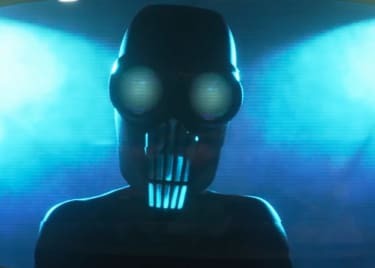 Three–four hundred people worked on INCREDIBLES 2. One of the challenges of making the sequel was balancing old with new. Bird and producers John Walker and Nicole Paradis Grindle wanted the film to feel familiar, but not be predictable. Technology was a large part of the conversation. With a 14-year gap between the original and follow-up, there’s a lot more they can do today. It’s safe to say there are some improvements, but the Parrs are still the family we know and love. “It starts with the story,” Bird reiterated, “and everything is driven from the story, even the choice of colors.” Many of the presenters also brought up the use of color, how different hues influence our reactions. Pixar artists paint scenes for color palette reference and to check the temperature of the movie, to make sure the mood flows well. We were able to see some of these paintings during our archives tour, as well as clay models based on original sketches. “They’re almost like the first proof of concept that a design can be actually realized in 3D,” said lead archivist and Pixar historian Christine Freeman. She showed us clay models of Bob’s various facial expressions and other amazing Pixar creations from over the years. 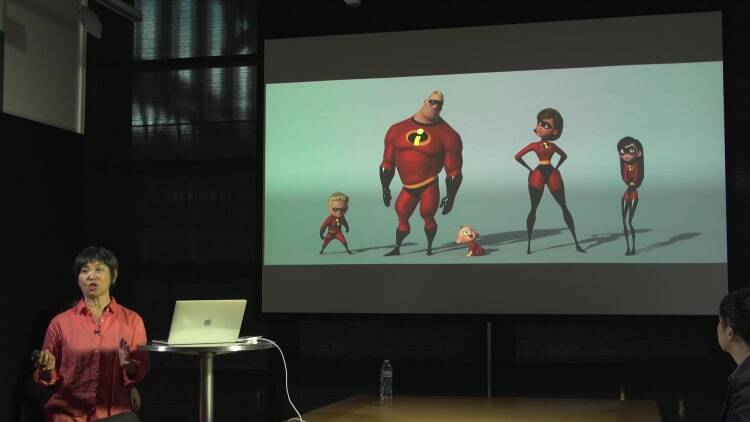 Check out the footage from our day at Pixar. The entire experience was, no pun intended, incredible. 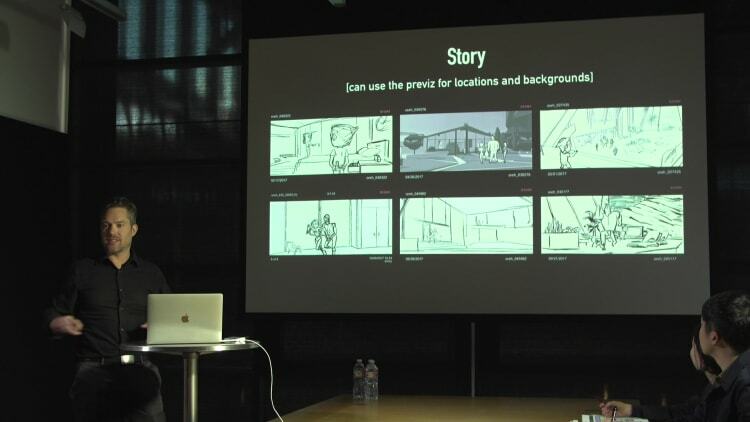 Seeing the level of research, artistry and storytelling that goes into a Pixar film gave us a deeper understanding of what it takes to create movie magic. 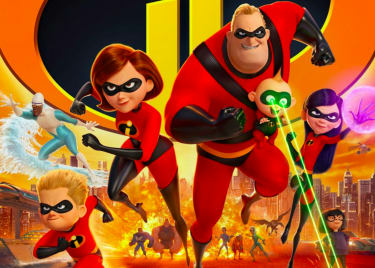 We can’t wait to find out what’s next and to watch INCREDIBLES 2 on the big screen. 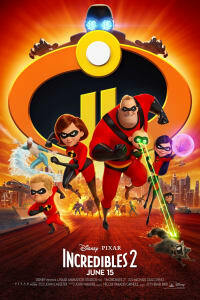 Get your tickets for INCREDIBLES 2 today, opening June 15 at AMC.